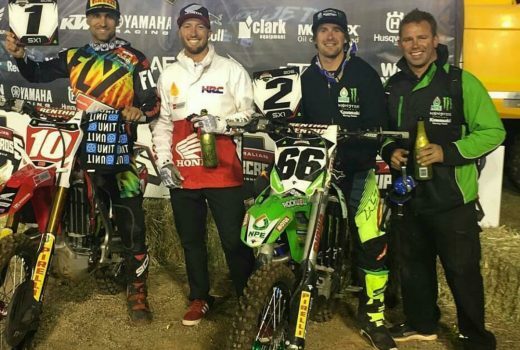 National Pump Monster Energy Kawasaki Racing Team’s Wil Hahn finished second in Toowoomba’s second round of the 2016 Australian Supercross Championship in Queensland on Friday night. 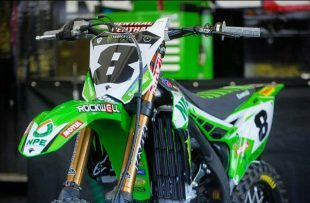 The popular American was near flawless on his way to the runner-up in the premier class SX1 main event, capitalising on work carried out between rounds one and two on-board the KX450F as he settles into Australian competition. 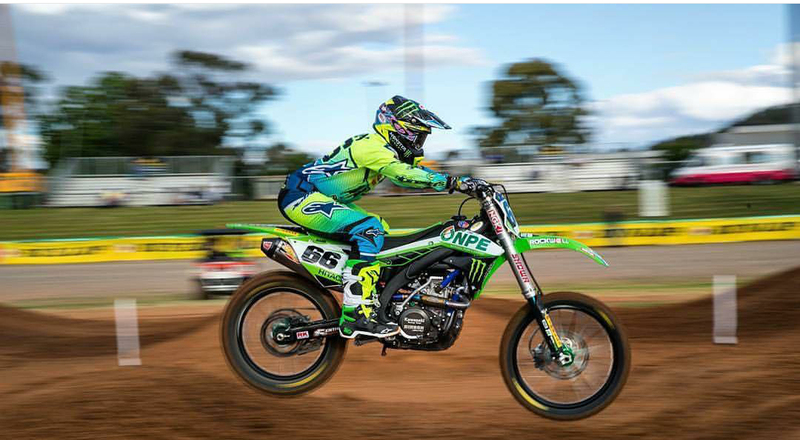 Hahn was second in the opening practice session of the afternoon on the technical Toowoomba circuit and maintained that form from there, qualifying third, finishing second in his heat race and then also in a hard-fought 20-lap main event. “The team worked really hard to improve after round one and we did a good job together during the break,” Hahn reflected. “Not only that, but I worked on my fitness pretty hard, so I’m really happy with this result for everybody. “I feel stronger and I haven’t really felt that comfortable on the bike for a couple of years now, so it’s nice to get that feeling. The track really related to those back home, but something really clicked for me in that heat race and I’m excited. National Pump Monster Energy Kawasaki Racing Team teammate Kade Mosig powered through what was a challenging second round of the season for the current national supercross number two, winding up sixth in the final aboard his KX450F. 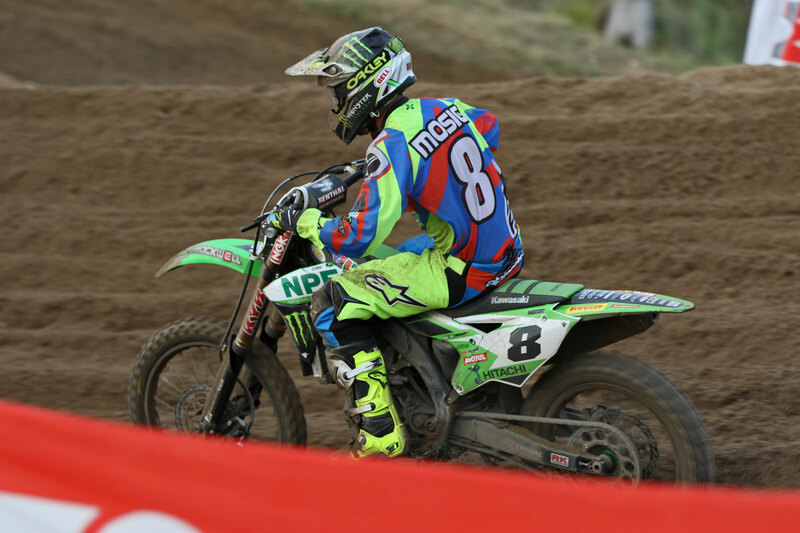 For Mosig, the Toowoomba round started off as a difficult one with 10th in practice, but he became progressively better from there to go ninth in qualifying, fourth in his heat race despite a crash and sixth in the talent-packed main event. 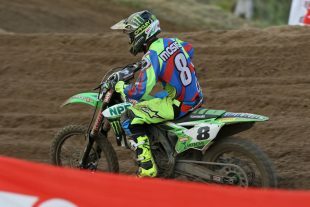 “I struggled a little bit all day,” Mosig commented. “I’ve had a really big week [personally] and it’s really not an excuse, but I did everything I could. 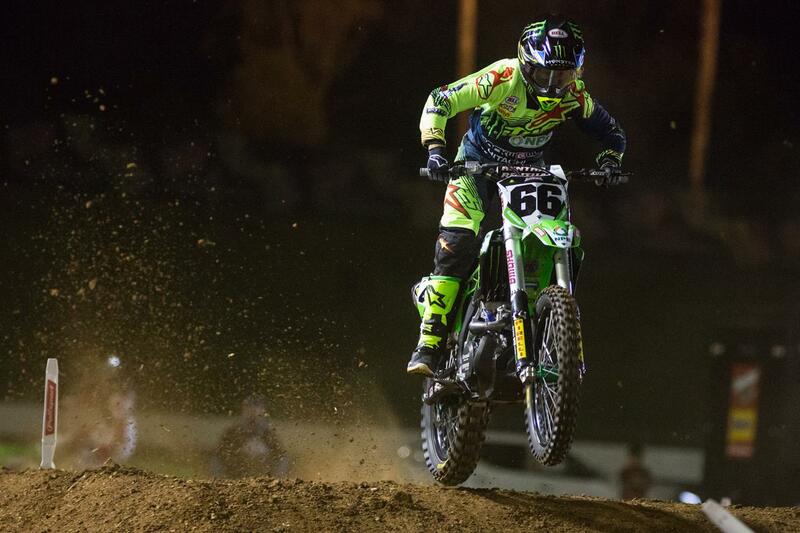 I just wanted to stay safe in the main event – guys were going down everywhere and it was gnarly. Round three of the 2016 season will take place at the Adelaide Showground in South Australia on Saturday, 29 October, where Hahn and Mosig will be sure to factor yet again in the race for this year’s Australian Supercross Championship.